Managed to hit the magic 300 Odin Marks for my first legendary! Decided to go for Gungnir for Deadpool! 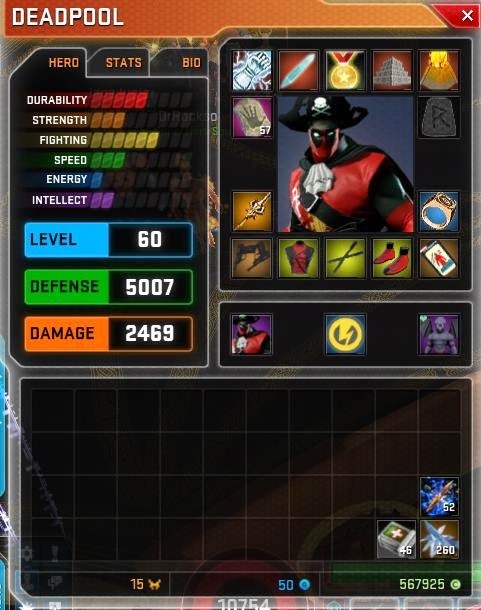 Having played him as a ranged character up till now, I wanted this for it's high critical ratings and damange. Had second thoughts recently, since I was decided to change his play-style to mixed. Deadpool's fighting powers just seem too fun to leave him as a pure ranged character. However, even with as mixed melee and ranged, I still felt this was a good option. With his Ultimate and God mode powers, I felt he was a good survivor so I just needed to focus on his damage. Lots of critical damage will be very useful even when he gets out of close-range and goes firing with his guns. 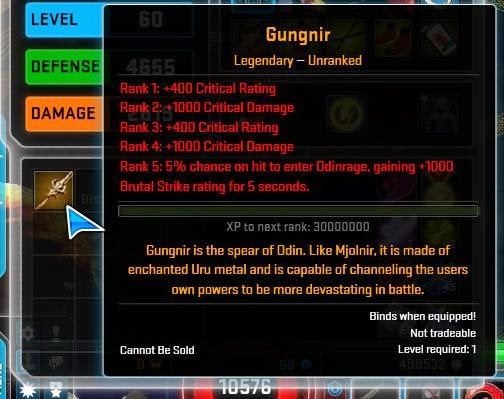 So this will be the start of a long quest to level up the Gungnir to Level 5 when Deadpool's gonna be a killing machine! Managed to complete all quests for Deadpool on all 3 levels. Had to get some help from some locals with beating Loki on SuperHeroic though. He was tough! So it was time to prestige! Deadpool went from Level 60 to Level 1 once again..
Another long quest to level him up all the Prestige Level 5.. Yes I will be going all out with him! 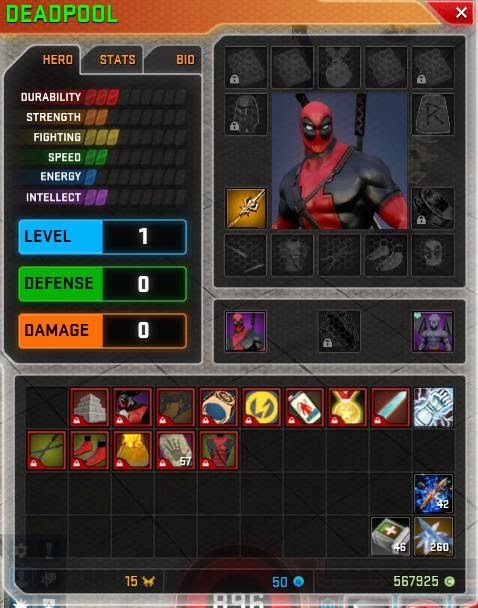 Well, the great thing is that I can level up Deadpool as well as his Legendary Item concurrently! Coincidence or Pure Genius? Also been playing Colossus a lot to replace Deadpool as my level 60 character. He's really evolving into a powerhouse. So I'm thinking of getting a Legendary Item for him as well. Norn Stones seem like a good choice at the moment. Gonna start on leveling up my Enchanter now in preparation for the new Rune crafting when that's ready. 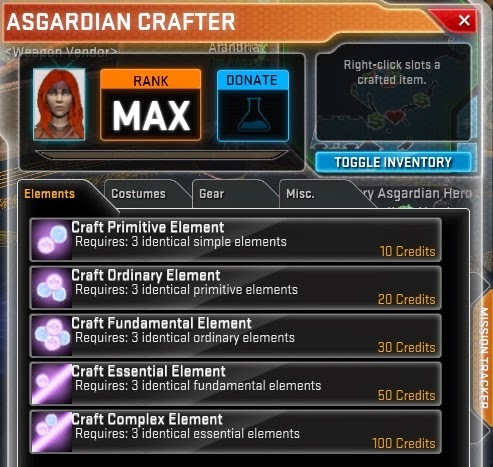 Played a bit of Gambit so he will be at Level 25 to get his bonus credits Synergy, will need all the credits I can get for the expensive Iron Buddies. Might as well get them. Always the completionist obsession in me..